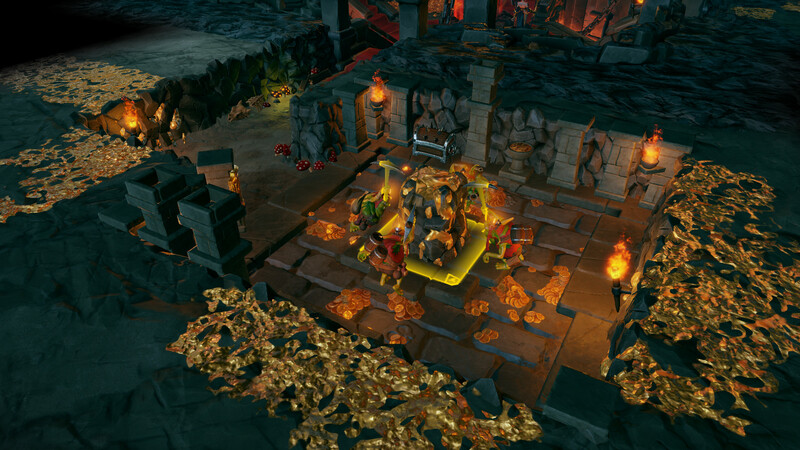 Dungeons 3 — a strategy that shows the world of dungeons, in which you have to fight on the side of evil. In the story, the priestess of the Dark Elves, known as Talia, went over to the Lord of the Underground. Now the plans to conquer the upper world may well come true, because the priestess is capable of much and will show her strength in battle. Having led the forces of evil, having built a dark kingdom, consisting of underground communications, gloomy corridors, dangerous traps, you can give vent to your imagination. 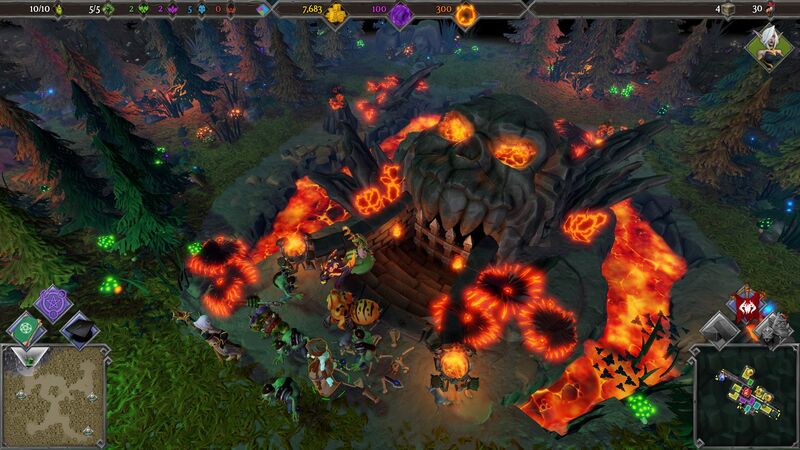 Bring in battle the dark troops, all evil spirits now, under your power, craves blood and conquest. Show the forces of good and light the true powers of the dark side and the priestesses of Talia. 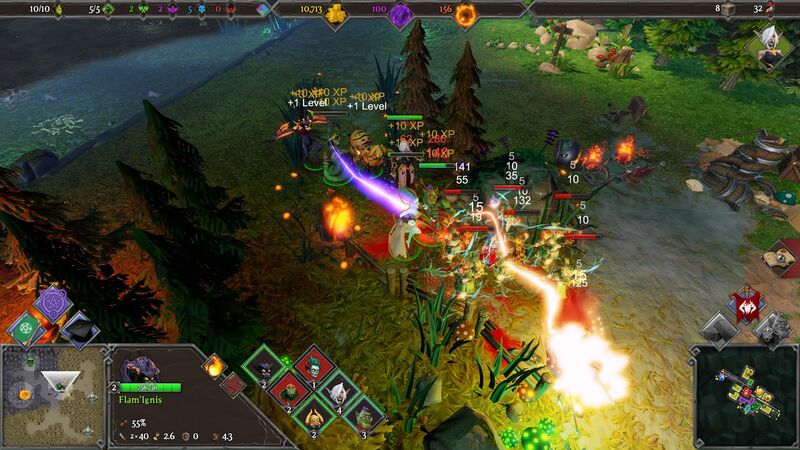 This game has been updated 3-04-2019, 02:15 to the latest version v1.5.6 + DLC + Clash of Gods. On the skirmish map 'Playground', Elrics are now allowed to use their skills. The skirmish map 'Playground' has received new savegame graphics. On the skirmish map 'Playground' we have fixed the problem in co-op mode, where one hand picks something from the unlimited resource rooms, while the other hand picks up something else. In the campaign mission 'The Ashspring Swamplands' we have fixed some collisions with graves. In the campaign mission 'The End of Yaina Overproud', the Portals will no longer attack Snots. In the campaign mission 'The Storming of Dollaran', we have improved the visuals of the effect circle around your favourite Demon ‘Crowley’. In the campaign mission 'Two Sides of the Medal', we have fixed the city shield protection. In the campaign mission 'Ups and Downs', we have improved and fixed the gamepad interaction area for water supplies. We have fixed and balanced all torture workstations to have the same efficiency from now on. We have fixed the effect of 'Malicious torture'. Potions will now affect only friendly units, as intended. We have fixed the attack visual effects of 'Dark Guardian'. We have added some graphic options for low-performance systems to improve performance and optimization. In addition, we have fixed sequential dialogs that were sometimes interrupting themselves. Interface sounds are now affected by the 'effects' volume slider.